"People have long supposed this link between overturning circulation and these abrupt climate events. This evidence implicates the ocean," said L. Gene Henry, the lead author of the study and a graduate student at Columbia University's Lamont-Doherty Earth Observatory. The impact of changes in the ocean overturning circulation on climate has become a hot topic today as global temperatures rise and melting sea ice and glaciers add freshwater to the North Atlantic. A 2015 study suggested that cooling in the North Atlantic may be due to a reduction in the overturning circulation, while a 2016 study suggested there had not been enough freshwater to have an effect. The new study explores what happened to ocean circulation when Earth went through a series of abrupt climate changes in the past during a time when ice covered part of North America and temperatures were much colder than today. It looks at the Atlantic meridional overturning circulation, which distributes heat as it moves warmer surface water from the tropics toward Greenland and the high northern latitudes and carries colder, deeper water from the North Atlantic southward. Using chemical tracers in sediment that builds up on the sea floor over time, Henry and his coauthors were able to document the relative speed of the Atlantic meridional overturning circulation during each abrupt climate change during the last ice age. The chemical tracers show that the speed of the ocean overturning circulation changed first, and that sea surface temperature changed a while later. 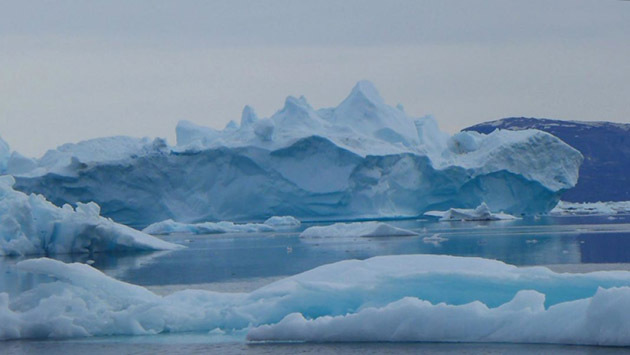 That suggests that cooling may start with changes in the ocean circulation, influencing the northern sea surface and atmosphere, said co-author Jerry McManus, a professor at Lamont-Doherty Earth Observatory. Evidence from ice cores and deep-sea sediment has shown that the northern climate also cooled before the southern climate during these abrupt changes, creating a "bipolar seesaw," with the north cool while the south was warm, and the south cooling as the north warmed.